Is it a coincidence that Valentine's Day is during Kindness Awareness Week? I think not! I choose to use Valentine's Day to focus on helping others and being nice to each other. Disclaimer: There are links to resources in this post. Clicking on them will not cost you anything extra but will earn me a commission if you buy something. My favorite category has to come first! Although, sadly, Valentine's Day does not have as many quality books as I would like. Here, though, are a few favorites. These authors have all written multiple books about the same characters. 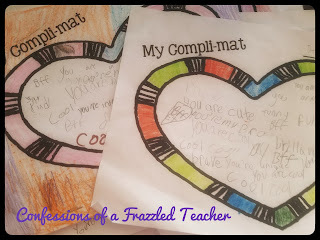 They are always a hit in our classroom because of it! I like to take a heart made from construction paper. I show students how saying mean things affects us all. We tell the heart mean things. Each time we do, we crumple the heart a bit. Then we end by apologizing to the heart. I uncrumble the heart and try to flatten it out. Moral of the story: You can't completely take back what is said to others. Cut out a large heart, either from construction paper or a find a freebie on TPT, for each child. Write their name in the middle. Pass the hearts around the room and have students write something they like about that person. 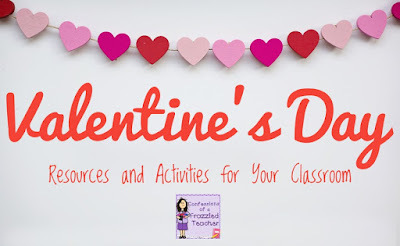 What is your favorite Valentine's Day resource or activity? By the way, if you want a Synonym and Antonym Freebie perfect for Valentine's Day, click the pic below.